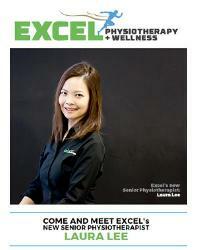 Laura graduated from the university of South Australia in 2009 with a bachelor of applied science in physiotherapy. She has over eight years of experience working at the highest level in private practice (musculoskeletal manual therapy) and in the private hospital system. Laura strives to provide the very best patient care and assist her patients with her vast repertoire of treatment techniques and strategies, in getting back to their full pre-injury potential. Laura enjoys working with patients with chronic pain, postural and other health issues and ensuring they achieve optimum health. She possesses a strong interest in post- operative rehabilitation. Laura is also continuously maintaining her professional development. She is very passionate about learning new skills and techniques to help widen her approach and provide best practice to patients. Laura has particular in depth experience of treating beck pain, headaches, back pain, sciatica, musculoskeletal conditions and post- operative conditions. Laura also treats sport injures, musculoskeletal ergonomic injuries, and management of acute/chronic conditions using hands on techniques and appropriate exercise prescription. Laura is multilingual and can speak English, Cantonese and mandarin.